Statement pieces are always a must have. So when I found this asymmetric stripes dress on eBay I didn't hesitate on "clicking" the purchase button. You see, dresses are always a go-to piece when in a hurry (or just a laziness situation) on putting together a outfit on the last minute (lately that's my case). This dress could be worn on it's own but, I decided to paired with a jacket from Forever 21 (and also recent haul) and some statement earrings. The result? The perfect "date night" look. Hope you enjoy the photos. Lots of love. Las Piezas “statement” siempre deben de estar presente en nuestro armario. Así que cuando encontré este traje asimétrico de líneas en eBay, no pensé dos veces en darle “click” al botón de comprar. Veras, los trajes son piezas a las que acudimos cuando tenemos prisa (o solo una situación de vagancia) en poner un atuendo completo en el ultimo minuto (últimamente ese es mi caso). Este traje puede utilizarse solo, pero decidí combinarlo con este chaleco de la tienda Forever 21 (y es también una de mis recientes compras) y unas pantallas statement. ¿El resultado? El perfecto atuendo para una cita. Espero que les gusten las fotos. Mucho Amor. 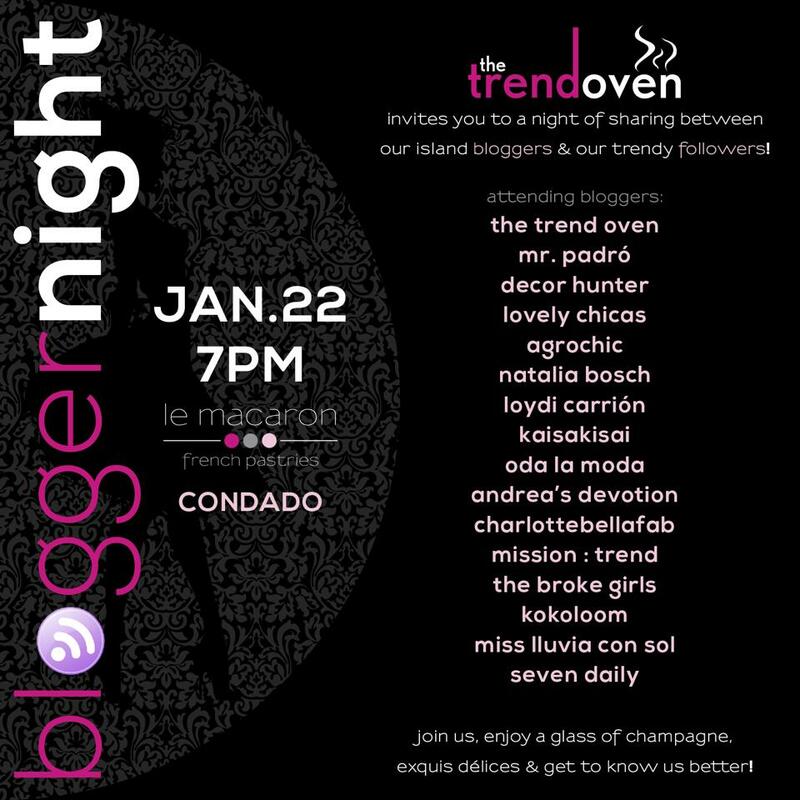 Mingle with me and other fabulous bloggers at Le Macaron on January 22th to celebrate “Blogger Night” in a delicious way. Hope to see you there! 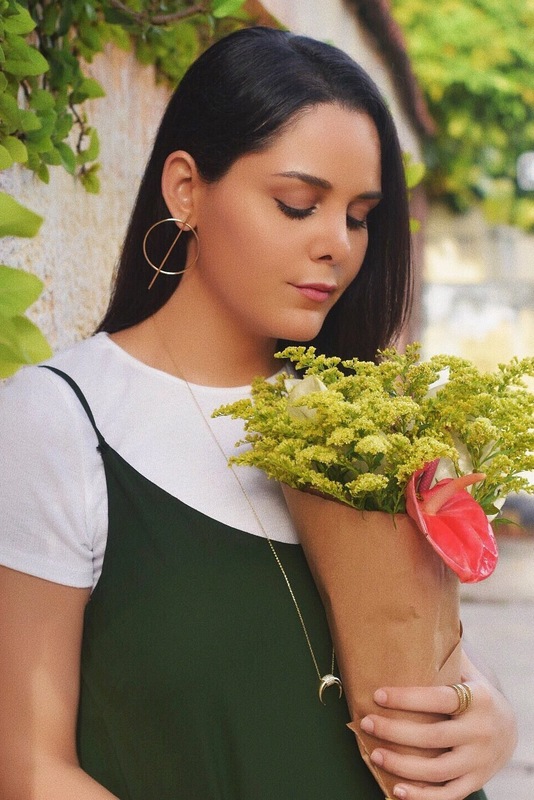 Ven y comparte conmigo y otros fabulosos blogueros en Le Macaron el 22 de Enero, para celebrar “Blogger Night” de una manera deliciosa. ¡Espero verlos! Gorgeous dress! I love the hem! Totally would have pushed purchase myself. Hiciste genial en comprarlo porque te queda genial, estás guapísima. Un beso. Gracias guapa por tu dulce comentario. Besos. Wonderful look! I really love stripes and the cut of this dress is simply amazing! perfect! I love how simple the dress is, yet the skirt detail makes the difference! Wooow! Amazing look! You're gorgeous and the dress is amazing! Thank you Anita for your sweet comment. Kisses. You have no idea how much I love this look! It is honestly perfect. Thanks Michaela, lots of love. I actually purchased this dress a while ago but it was too tight on me. I love the design tho and it looks fab on you! Also love how you styled it with the blazer and those killer heels! I actually bought this dress one size bigger because I didn't knew how It will fit on me. Thanks for your comment Tina, lots of love. I'm sitting here obsessing over your dress, it's way to frickin' cute! Stripes are my favourite pattern! Love them! Love this dress - especially paired with the lace up heels! Such a classy look, love the dress!